On March 13, 2003, Sean Miller was an assistant coach for the Xavier Musketeers. They were a good team, finishing 26-6 and reaching the second round as a three seed. Soon thereafter Miller became the lead man at Xavier and would continue that success. He’d win 120 games as the head coach there, attend four NCAA tournaments, one sweet sixteen, one elite eight, and win two conference championships. On the week of December 5, 2006, a Miller-coached team cracked their first AP Top-25. His Musketeers were ranked 24th that week. And amongst all of his success, the highest ranking he would achieve at Xavier was seventh. This morning Sean Miller woke up. He wore his cardinal and navy to work, the colors of a Wildcat and the colors of Lute Olson’s basketball program. It’s a program Miller has made clear is not his own. It’s a brand he’s propagating. He’s also made it clear that he is building his own legacy; an integral fact to the success of any endeavor. So when Monday’s polls dropped and the first name cited was “Arizona,” it wasn’t news to the cardinal and navy. 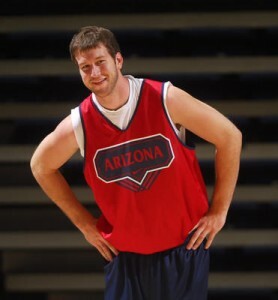 March 13, 2003 was the last time Arizona wore the wee number. This school has worn that number six times prior and once after the final buzzer. Number one is not new to Arizona. 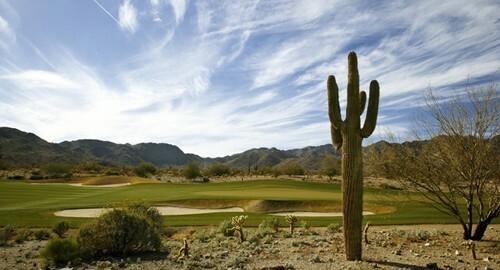 Read a lovely history of the lonely number and Arizona here. But it’s new to this regime. It’s new to a generation of Wildcats – this player’s program – that has bellied up to the bar and bought extinction a drink only to sober up just soon enough to realize the mistake. This number may be impermanent but it’s here, being worn by your Arizona Wildcats, and it’s Sean Miller’s first time as top dog. See him in his new skin as the hunted. As I said after his team defeated Duke, this is a different monster he has created. The seven to eight guys he’s running out there each night are the seven to eight guys he’s dreamt of since taking this job. It’s the seven to eight guys that are generating hype and hyperbole like ‘Is this the greatest Arizona team ever?’ And maybe it is? I can’t tell you definitely yes or no and neither can you. But I can tell you that on Saturday afternoon, with what seemed like #1 all but locked up, the Wildcats struggled. For the first time this season they saw their two best players struggle. Aaron Gordon and Nick Johnson – the rocks of this lineup – would combine to go 6-25 on the whitened afternoon. Arizona yielded 42 points on 64% shooting in the first half to a UNLV team that arrived in Tucson with nothing to lose. Whatever they had was lost to Dixie State and so Roscoe Smith – who’d already stolen Arizona cookies in 2011 as a member of the UConn Huskies – had no qualms in running his mouth at the favorites, “They should be intimidated by us.” He’d finish with 10 points and 6 rebounds. He previously was averaging 13 and 16. But in their first half as the presumed best, Arizona looked their worst. The stadium was monochromatic for reasons unknown (tired of that gimmick) and the roster, coaches, and stadium were stewing on three days of hype. How was Miller, at the helm of a ship navigating new waters, going to handle all of this? What would his team do next? Because to date, he’s been teaching what he’s always taught: how to be a very good basketball team. For four seasons now in the desert we’ve enjoyed just that and been quite pleased with Miller’s teams, his conduct, and his program. He did the same at Xavier. He’s coached many good teams in many different jerseys and earned himself the distinction of being a very good basketball coach. He coaches good teams. Now he has the best team. More realistically than any good team of his before this, he has a team vying for hats and t-shirts. Unchartered territory. Have you ever heard of coaches running that drill where their team practices cutting down the nets? They’ll set up ladders, grab the office scissors, and player-by-player hike up there to cut down the nets. Champs. Practice like you play and if you practice like the last man standing, well the thought is pretty soon you will be. So for now, Arizona and their coach will practice being the best team in the country. It’s a distinction they’d indubitably prefer to wear in April but for now it works. You’re damn right it works. Because you can’t get to where you want to be unless you know what it looks like. “Being No. 1 is not our end goal but I think when you’re playing with that thought in mind, practices matter, how you play matters … everything we do takes on even more added importance because you’re trying for, in a sense, rarified air to be the No. 1 team in the nation,” said Miller. But here’s the thing: this group doesn’t know what it looks like. Anything approaching the top spot is news and so with Arizona struggling, yielding all that they did in Saturday’s first twenty minutes, rankings were the least of anyone’s concerns. And then something happened: defense. This team defended its way to victory, allowing just sixteen second-half points; one basket in the final six-minutes. For the game they outrebounded UNLV, 41-29, and collected 44 points in the paint when nothing would fall from distance. The Wildcats collected themselves and went with their strengths. They won the game. So maybe this is what it looks like? How it feels and what it might be like? 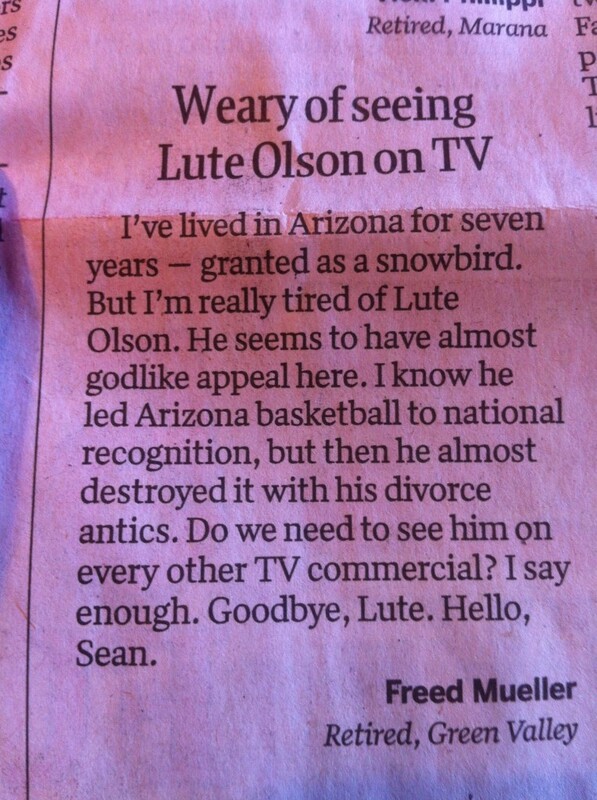 Today, Sean Miller and his Arizona Wildcats are the best team in America. What will his team do next? BB: Kyle Fogg is Wrapping Things Up. Nicely. This is also posted at pointguardu.com, a great source of Wildcat hoops. If you watched Kyle Fogg’s effort against the Washington Huskies in Tucson back on January 28, you saw him trying. The senior tried so hard. He knew what a win meant and he wanted to win. I maintain it was the single greatest example of trying to do too much I’ve ever seen on a basketball court. He made two of his four shots, all of which were attempted in the first half, grabbed no rebounds, and coughed the ball up five times. And if you could stand to watch him during the post game press conference, dejected doesn’t even begin to describe how the senior looked. Slumped in his shoulders, mumbled in his responses, blank in his gaze, he looked defeated. As if the toll of four transitional and trying years, an underwhelming 5-4 start, and the weight of Tucson’s collective basketball focus had finally become too much. Since sitting in that small room after the Washington game, Fogg has been the best player in the Pacific-12 Conference. He’s twice won the conference’s Player of the Week award and take a peak at these numbers: 16.5 ppg, 6.8 rpg, 2.1 apg, 1.3 spg. But here’s the biggest number: seven. The Wildcats are 7-1 since that potentially finishing loss at home and Fogg has been the centerpiece of that. Ensuring that Arizona will not go quietly into the 2012 off-season. That Fogg will not be the first Arizona senior in more than twenty years to play in just two NCAA tournaments. You realize before he picked this team up on his back they were all but dead? A game over five hundred in arguably the worst major conference ever with two home losses and a pending road trip to the Bay Area? All but dead indeed and he didn’t let that happen, winning the first of his two POW awards during the Bay sweep. This perfect little run very well could have Fogg and his Wildcats dancing but it’s really just icing on the cake for the least suspecting four-year starter in recent Arizona Basketball history. When it’s all said and done, Fogg will have started at least the sixth most games in Arizona basketball history. Up there with the likes of Frye, Stoudamire, and Cook. Those aren’t names you’ll soon forget. And you shouldn’t soon forget Kyle Fogg, either. He never wowed us with skill, often looking the part of a project when this program needed him to be a star. Fogg was lightly recruited to say it nicely and didn’t receive a scholarship offer until the Arizona program was at rock bottom. The unranked, unoffered, unassuming kid from Brea will now likely be a First Team All-Conference player. One of the hardest, most self-made players to wear an Arizona jersey. Just like in that Washington game, he’s tried. So take yourself back into that room with Fogg. Down – oh so down – but clearly he wasn’t out. Because there were at least nine more games to start. To be remembered as the great Wildcat he is.